Paddling is becoming an even more popular recreational activity and Paddle Antrim is offering kayakers a great way to get out on the water with the third annual Paddle Antrim Festival. 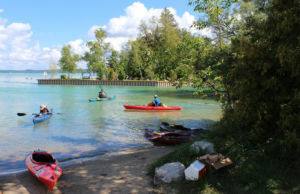 The festival celebrates Northern Michigan’s waters and communities and highlights the diversity of the Chain of Lakes Water Trail, a new non-motorized water trail being developed by Paddle Antrim with help from local organizations and city/township governments. This event highlights the wide-range of paddling opportunities that Northern Michigan’s Chain of Lakes provides. The first day begins with a series of small calm lakes which are a must-see and perfect for all paddlers. The second day you can explore up to five lakes and two rivers including the tranquil Grass River Natural Area and the crystal blue waters of larger lakes such as Torch and Elk. 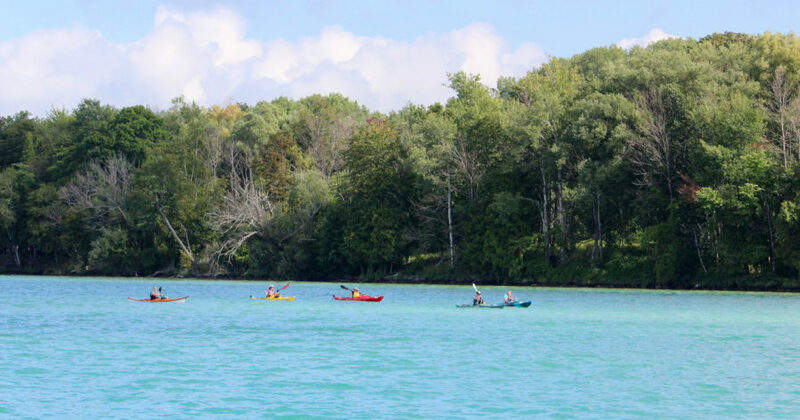 Over the two days, paddlers will enjoy the charming communities of Ellsworth, Central Lake, Bellaire, Alden, and Elk Rapids as they make their way down the waterway. To make the event stress-free, meals and shuttle service can be added at the time of registration. Beyond great paddling, the weekend is filled with food and festivities. Beginning Thursday night, there are local events with music and refreshments open to all. 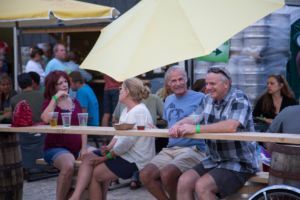 The festival ends with a bang at the Final Bash Saturday night in Elk Rapids hosted by the top sponsor, Short’s Brewing Company. This all-ages party is for paddlers and the entire community to come out and enjoy live music and great food and drinks. 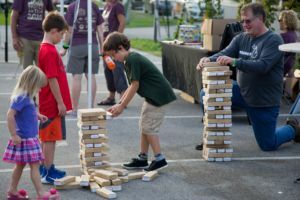 Short’s Brewing Company and festival sponsor, Pearl’s New Orleans Kitchen, will be there serving up amazing food and the finest brews for all to enjoy. The Paddle Antrim Festival not only encourages folks to get out and enjoy the lakes and rivers but also raises money to support Paddle Antrim’s mission to protect the waterway, focusing on stewardship, education, and increasing access for all through development of the Chain of Lakes Water Trail. The water trail, the aquatic equivalent of a hiking trail for non-motorized boats, provides information on available access sites and paddling experiences for everyone to enjoy all season long. 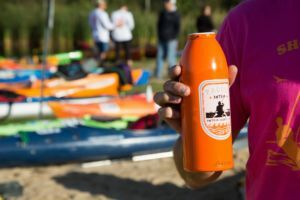 By working with local jurisdictions and other supporters and champions, Paddle Antrim is leading efforts to create a premier water trail for all to enjoy in Northern Michigan. For additional information on Paddle Antrim, the Chain of Lakes Water Trail or Paddle Antrim Festival, go online to www.paddleantrim.com or contact Paddle Antrim at info@paddleantrim.com or 231-492-0171. 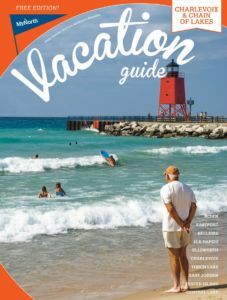 Explore the Chain of Lakes region with MyNorth’s free vacation guide! Just click the cover.